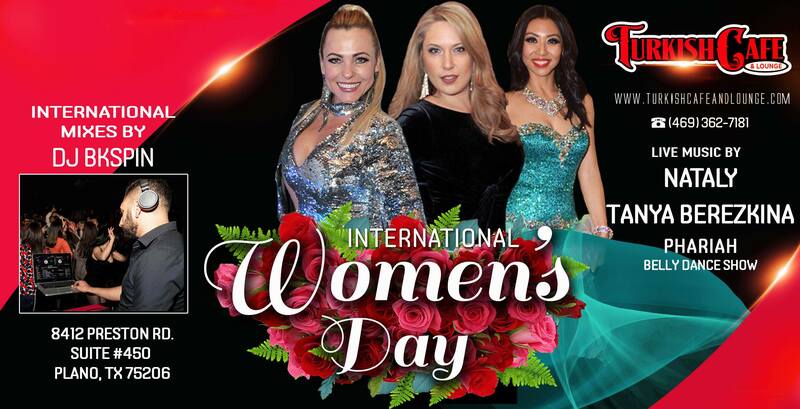 Turkish Café & Lounge invites everyone to International Women’s Day on Friday, March the 8th 2019! This event will bring you entertainment by our special singer Tanya Berezkina and Nataly Elberg and DFW favorite belly dancer Phariah, and the hottest mixes by DJ BKSPIN. Hurry to make your reservation at 469-362-7181.